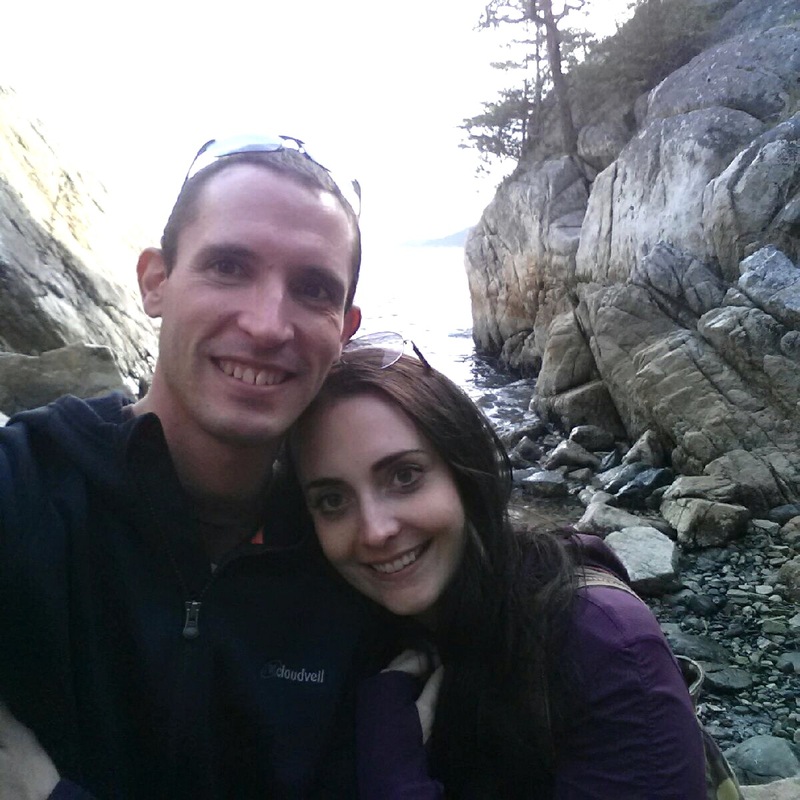 West Coast Blog Girl | Hiking, camping, gear and whatever other outdoorsy things I get up to. 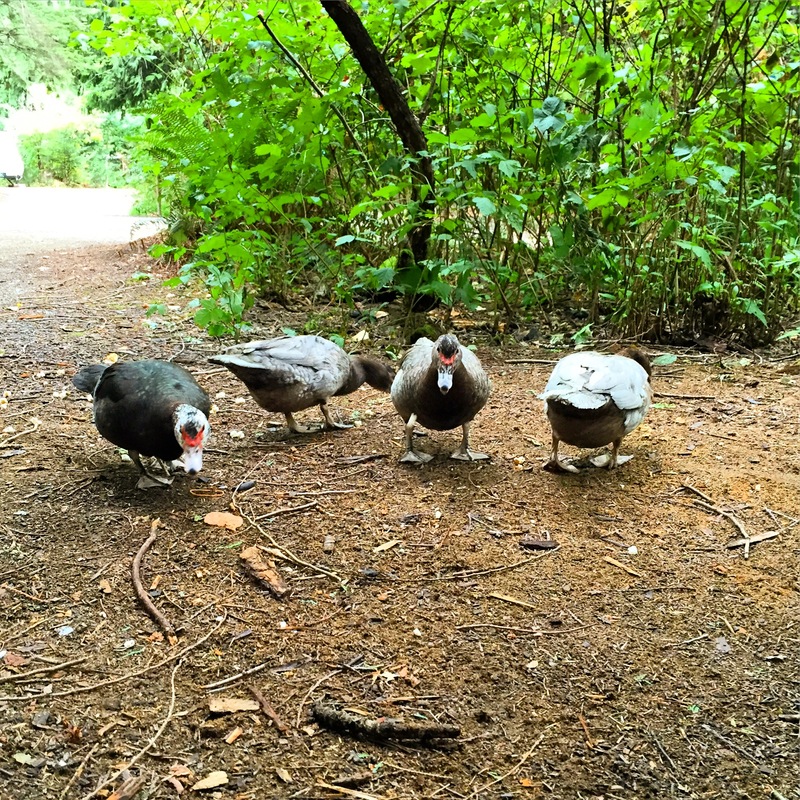 Last August, me and two of my girlfriends went camping at Birkenhead Lake for four days. It was stunningly gorgeous and has now taken the top spot as my favourite campground that I’ve experienced thus far. We were lucky in that we were all able to take time off work to go during the week. I don’t know how busy it gets there on weekends, but it was really quiet while we were there, especially considering how amazing the weather was that week. On our first day we went down to the lake for a swim and it was really cold! Thankfully we later discovered that we’d been swimming right by where a glacier fed creek runs into the lake. After that we moved further down the beach and it was perfect – and I’m kind of a wuss when it comes to cold water! On our last full day there we decided to go for a little hike and found a path along the edge of the lake. It was absolutely beautiful, and as a bonus, we discovered a private little beach along the path. Next time I go there, I want to pack some food and drinks and head there for the afternoon. We found this spot on our hike and thought it was good for a photo op. 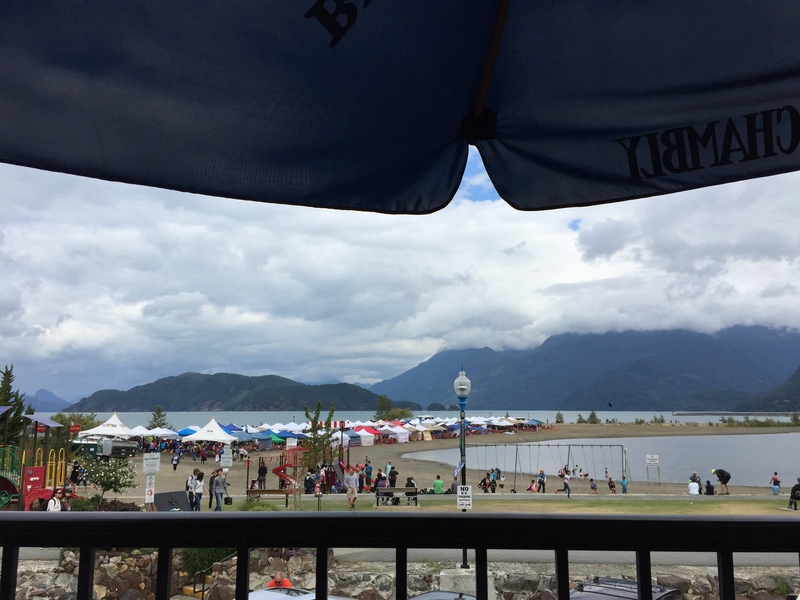 After four days of my favourite things – sunshine, lake floating and swimming, camping, and quality time with great friends – we headed home (stopping for brunch of course). I plan to go again this summer and hope to write an even more detailed post about it then. This was day one of camping, which you can tell by the condition of my hair. Yours truly on the left and my buddies behind me. In terms of facilities and logistics – it is not quick to get to, and is down some long dirt roads – but totally worth it. They have outhouses, water pumps and bear proof garbage cans. 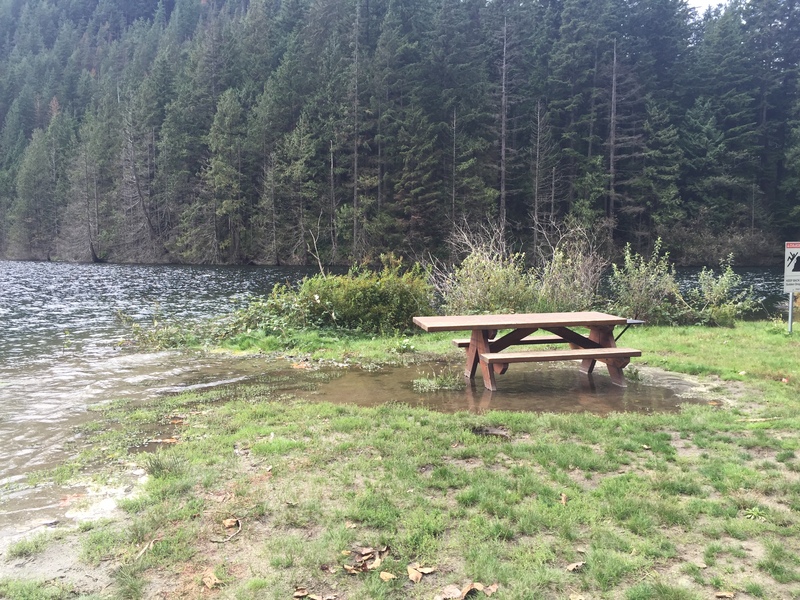 The rangers are quite adamant about not leaving food and garbage out at your campsite. There are bears in the area, so you must be bear aware and take the necessary precautions. That being said, the biggest animal we came across was the deer that walked through our site. Speaking of sites, I liked the ones here because they are not too close together and are reasonably private. If you have the opportunity to camp here, I highly recommend it. Click the title of this post to go to the park’s site. MEC Aquilina Sleeping Bag: After much research and going back and forth as to down vs synthetic (in the damp environment that is the West Coast of BC), I landed on this sleeping bag. I had never had a down bag or a mummy style bag before, but after spending the past several years freezing in the sleeping bag my Dad got me when I was a kid – I knew it was time for an upgrade. I am SO GLAD I forked out the cash for this! Don’t get me wrong, it is a very reasonably priced sleeping bag for what you get, but I’m on a budget so this was quite a splurge for me. Especially considering I also needed to replace my sleeping pad and tent! I have now used this bag on two camping trips. One was during a cool and very rainy weekend and one was during a hot and sunny summer weekend. 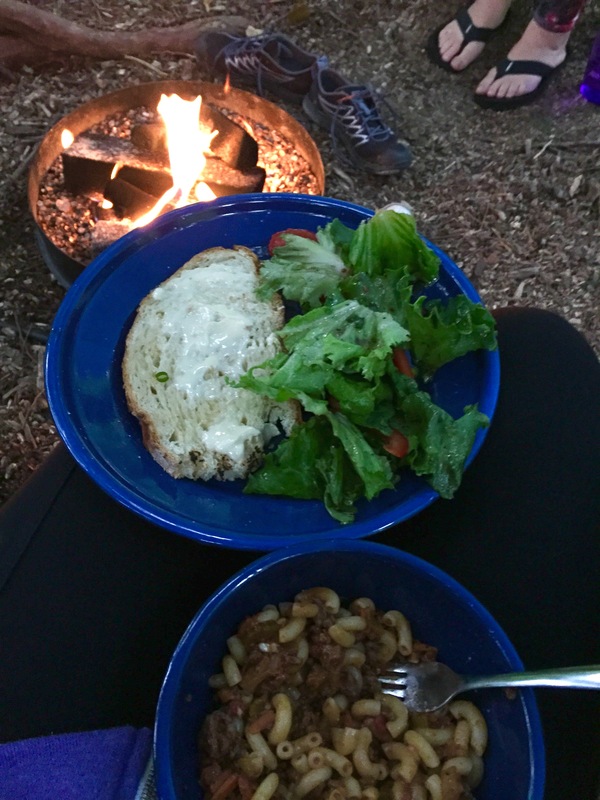 I stayed cozy and warm on both trips (5 nights between the two) which is saying something as I am a naturally cold person and am used to waking up shivering even during summer camping trips. During the hotter trip I just unzipped it a bit when I got warm (it is rated to -7C). During the cold rainy trip I was snug as a bug! I was a bit concerned about the down getting damp during the crazy downpour night and soggy weekend, but it didn’t get moist at all! The outer shell has a DWR finish on it to protect from dampness and it certainly worked. I also found it quite comfortable. It fluffs up nicely after being stuffed in a drybag (which I purchased separately – see pic below), and I found it roomy enough for me even though I was used to a barrel sleeping bag. It has a neck yolk to prevent drafts and a handy little pocket inside as well. And, the girly part of me LOVES the colours! I feel like a caterpillar in it! Pretending to be a caterpillar. As a side note: I apologize for the lack of hiking posts over the past month and a bit. I had a flu, then was away for a weekend, then I got a cold and bronchitis and now I have a minor foot injury. Sometimes life gets in the way but I will be back at it as soon as I can. I can’t stay away from nature for too long or I start to go a little buggy! I owe you a few posts! 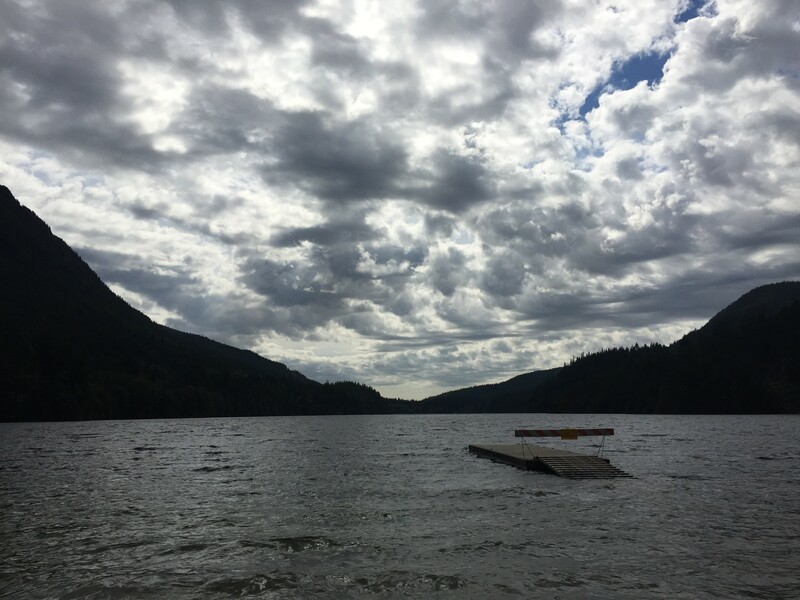 I went camping at Birkenhead Lake which was amazing! So I will do post about that soon. I also owe you a couple of gear reviews (tent, sleeping bag, sleeping pad). Life has been very busy lately, but very good. I’ve got to sort through some photos, and then I will get to posting! 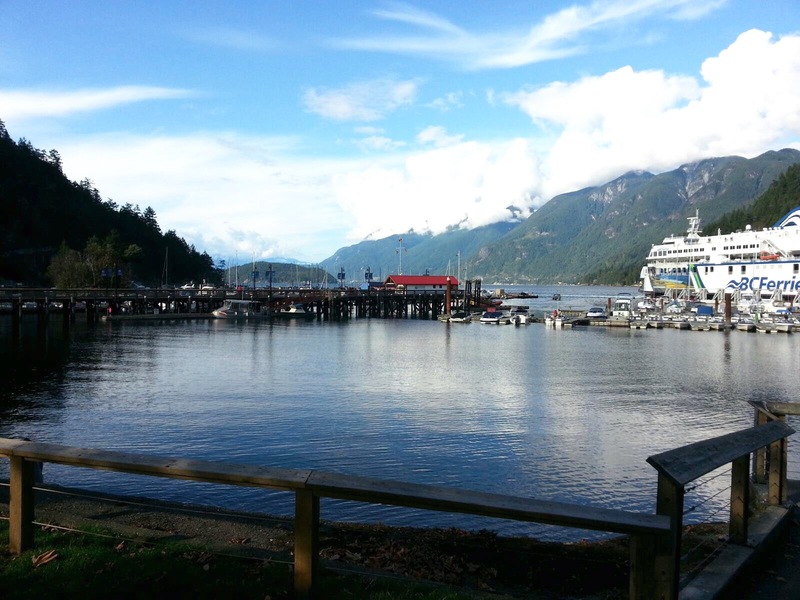 Horseshoe Bay. One of my favourite places for a quick walk or bite to eat. 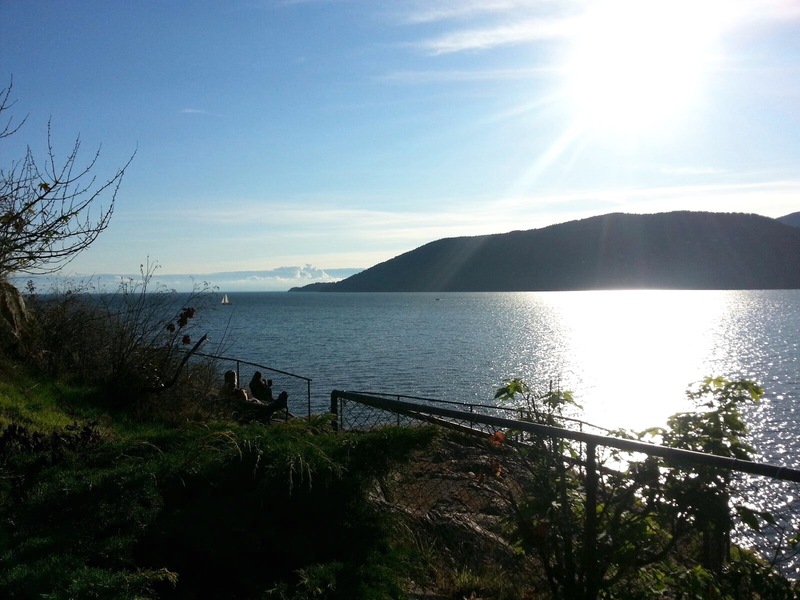 Enjoying the sunshine and views at Whytecliffe Park in West Vancouver. Me and Scott – the best thing keeping me busy lately! This weekend I went camping for the first time this year. One of my friends was coming up from Seattle and had a bus to catch on Sunday afternoon so we wanted to go somewhere close. 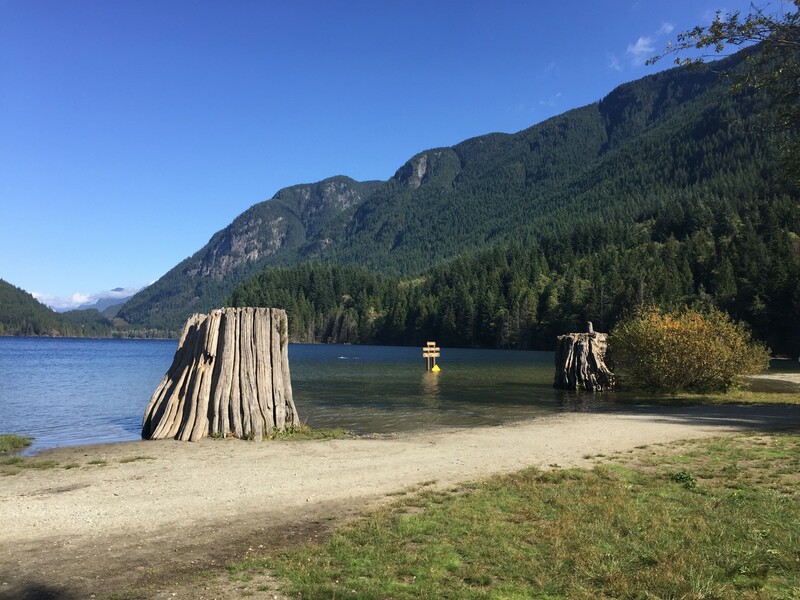 We managed to get a rather short notice reservation at Harrison Springs Camping and RV Park. I will post a brief review of this campsite at the end of the post. Three of us ladies, all seasoned campers, arrived at the campsite on Friday afternoon. 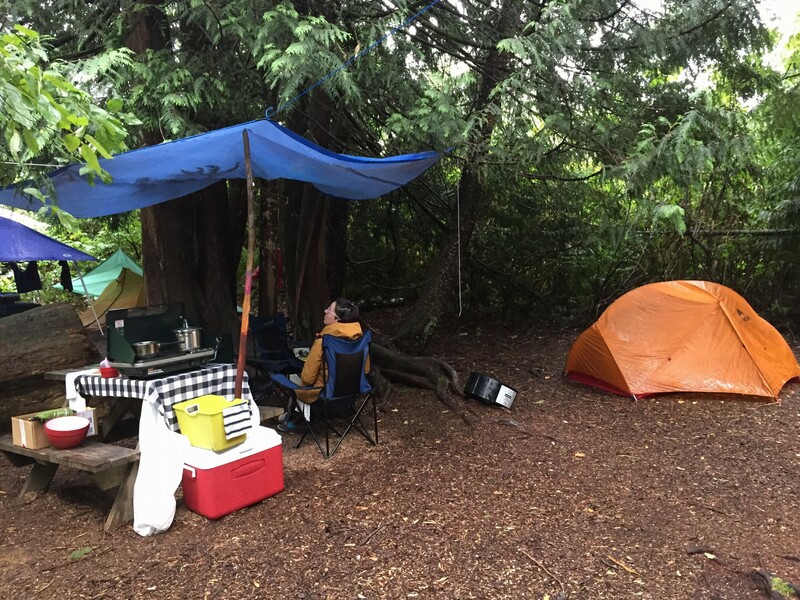 It was raining lightly so we set up a tarp and our tents as soon as we got there. It’s a good thing we did because shortly after it started to pour rain, and I mean HARD. 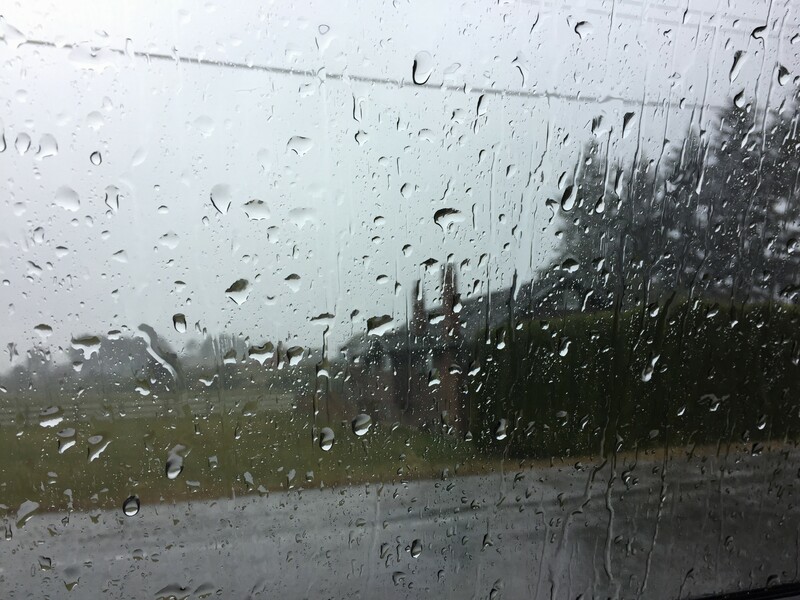 I really didn’t think a rain that hard would last very long, but it kept pouring like that all evening and all through the night. We rented a propane ring “fire” to help keep us warm and we huddled under the tarp for several hours. Tarp set-up before the heavy rains kicked in. 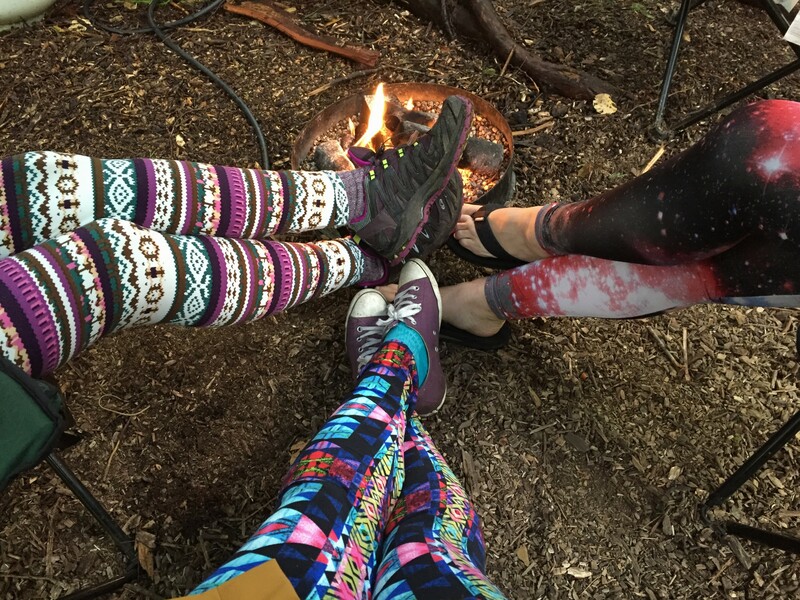 Keeping warm around the fire in our funky leggings (left and centre are from sweetlegs.ca and right are from Target). 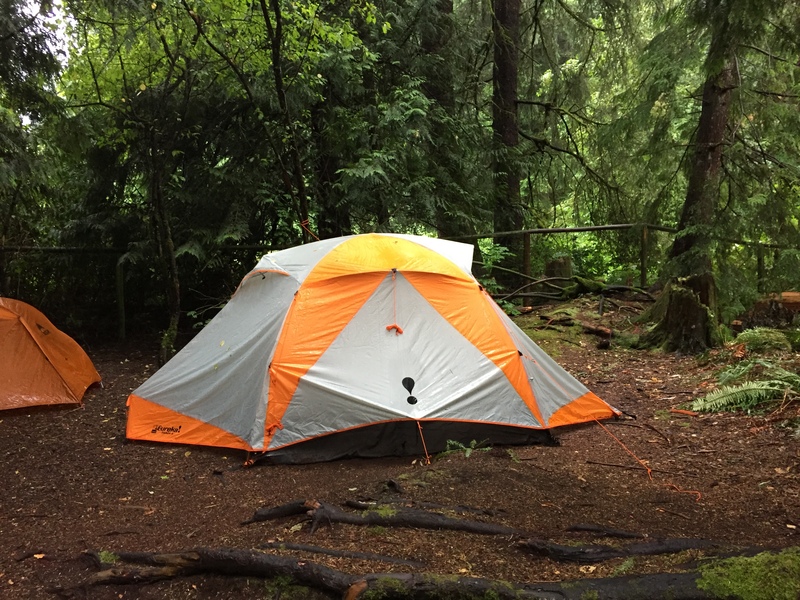 Thankfully I bought my new Eureka Basecamp 4 tent a few weeks ago which kept us totally dry through the all-night downpour. My old tent would have had us floating away. My friend’s tent leaked so she came into my tent as well and it was comfy having all three of us plus some gear in there. I will do a full review of the tent in another post. My new Eureka Basecamp 4 tent. Patio view of the Dragon Races tents. We walked around the town a bit taking in the sites and then we went back to camp. 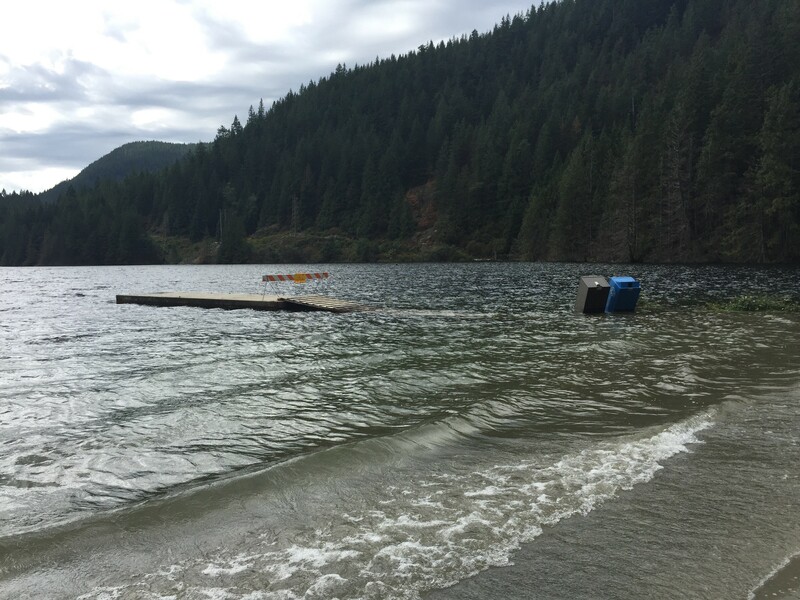 We had planned to do some lake floating but it wasn’t quite warm enough. Saturday’s dinner consisted of bread home made by one of the friends, salad and bolognese pasta made by my other friend. Not bad! The campsite had a lot of ducks living there and we would frequently get visitors to help us “clean up” any dropped food. We had brought a bunch of things for entertainment (Bocce ball, Cards Against Humanity, a crib board) but we ended up just chatting the whole time. We don’t get to see each other often so we had lots to chat about! We had a great time. Luckily by the time we had to pack up camp on Sunday most of our stuff was dry. Packing up wet tents and tarps is a nasty job so I was pretty happy about that. And we did it just in time too – it started to pour again on the drive home. It was so nice to get to spend some quality time with my friends outside, despite the horrible weather on Friday night. I was very glad that I decided to bring my waterproof trail shoes at the last minute! Having the right gear makes all the difference. the sites are very close together so there isn’t a lot of privacy and neighbour’s noise can be a problem at night (we got one of the few sites that was pretty large and set back from the road – site #36 if you ever want to make a reservation there). Most people were pretty quiet at night be we did have noisy neighbours the second night. the propane rings were $40/night, and on the second night our propane ran out at 10pm and the office was closed so we weren’t able to get a new tank.